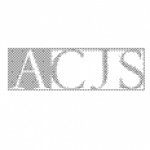 The Academy of Criminal Justice Sciences, or ACJS, is an international association established in 1963 to foster professional and scholarly activities in the field of criminal justice. ACJS promotes criminal justice education, research, and policy analysis within the discipline of criminal justice for both educators and practitioners. 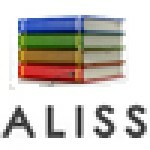 ALISS is a not-for-profit unincorporated professional society. It is an independent group which was formed in April 2005 by the former committee of (Aslib Social Science Information Group and Network) The aim of the group is to; Provide opportunities for networking and self-development offer a forum for communication create a network of cooperation and a forum for discussion about emerging issues in social science librarianship. 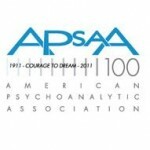 The American Psychoanalytic Association (APsaA), the oldest national psychoanalytic organization in the United States, was founded in 1911. 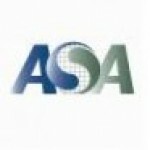 APsaA focuses on education, research, advocacy and membership development. 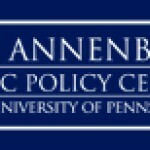 The Annenberg Public Policy Center of the University of Pennsylvania has been the premier communication policy center in the country since its founding in 1993. By conducting and releasing research, staging conferences and hosting policy discussions, its scholars have addressed the role of communication in politics, adolescent behavior, child development, health care, civics and mental health, among other important arenas. The Center’s researchers have drafted materials that helped policy-makers, journalists, scholars, constituent groups and the general public better understand the role that media play in their lives and the life of the nation. The Policy Center maintains offices in Philadelphia and Washington, D.C. 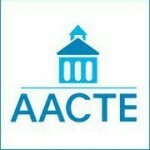 The Association for Education in Journalism and Mass Communication (AEJMC) is a nonprofit organization of more than 3,700 educators, students and practitioners from around the globe. 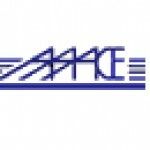 Founded in 1912, by Willard Grosvenor Bleyer, the first president (1912-13) of the American Association of Teachers of Journalism, as it was then known, AEJMC is the oldest and largest alliance of journalism and mass communication educators and administrators at the college level. 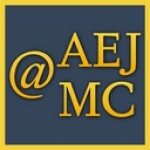 AEJMC’s mission is to promote the highest possible standards for journalism and mass communication education, to encourage the widest possible range of communication research, to encourage the implementation of a multi-cultural society in the classroom and curriculum, and to defend and maintain freedom of communication in an effort to achieve better professional practice, a better informed public, and wider human understanding. 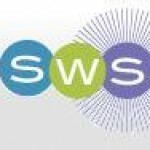 The Australian and New Zealand Society of Criminology Inc. (ANZSOC) is devoted to promoting criminological study, research and practice in the region and bringing together persons engaged in all aspects of the field. The membership of the society reflects the diversity of persons involved in the field, including practitioners, academics, policy makers and students. 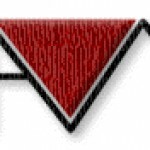 The Australian Sociological Association (TASA) is the peak professional association for Australian sociologists. 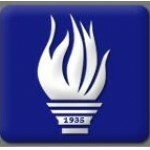 Formed in 1963, TASA will celebrate its 50th anniversary in 2013. 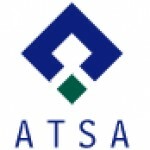 TASA holds an annual conference, produces two refereed journals, facilitates networks across specialist fields, and awards prizes for outstanding contributions to Australian sociology. 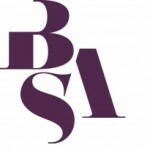 BELMAS is an educational charity that aims to provide a distinctive, independent and critical voice in the pursuit of quality education through effective leadership and management. 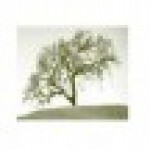 We are concerned with ideas and practice and the interrelationship between the two. The British Academy is the UK’s national body which champions and supports the humanities and social sciences. 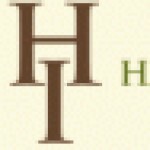 It is an independent, self-governing fellowship of scholars, elected for their distinction in research and publication. Our purpose is to inspire, recognise and support excellence in the humanities and social sciences, throughout the UK and internationally, and to champion their role and value. Representing more than 85,000 researchers in 80 scholarly associations, 79 universities and colleges, and 6 affiliates, the Canadian Federation for the Humanities and Social Sciences is the national voice for the university research and learning community in these disciplines. 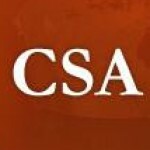 The Canadian Sociological Association (CSA) is a professional association that promotes research, publication and teaching in Sociology in Canada. 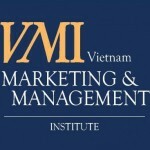 Its members include people from universities, government agencies and businesses. The membership has many student members, a constituency formally represented on the governing Executive Committee of the Association. 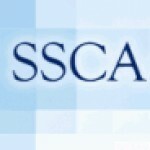 The academic side of the membership comes mainly from departments of sociology in Canadian universities, but there is a notable and most welcome group from other social science academic units in Canadian universities, sociologists working in community colleges in Canada, and members from outside Canada. 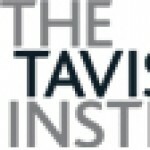 The Center for Advanced Study in the Behavioral Sciences at Stanford University is a national and international resource that exists to extend knowledge of the principles governing human behavior to help solve the critical problems of contemporary society. Through our residential postdoctoral fellowship programs for scientists and scholars from this country and abroad, we seek to advance basic understanding of the social, psychological, historical, biological and cultural foundations of behavior and society. 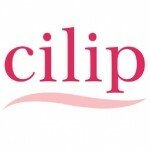 CILIP is the leading professional body for librarians, information specialists and knowledge managers. We provide practical support for members throughout their careers and speak out on behalf of the profession. Our vision is a fair and economically prosperous society underpinned by literacy, access to information and the transfer of knowledge. 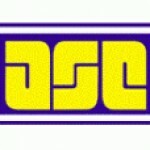 The Division on Corrections and Sentencing was established in November 1999 as a constituent unit of the American Society of Criminology. 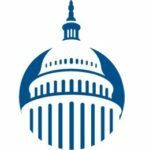 The DCS seeks to facilitate research on corrections and sentencing for adults and juveniles and encourages research pertaining to sentencing, rehabilitation, punishment, community and institutional corrections, diversionary programs and alternatives. The division brings together ASC members interested in discussing and supporting research and theoretical development in corrections and sentencing and encourages interaction and dissemination of research among the ASC members, practitioners, funding agencies, policy-making bodies, corrections and sentencing organizations, and other relevant groups. 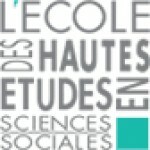 The École des Hautes Études en Sciences Sociales is a leading French institution for research and higher education. 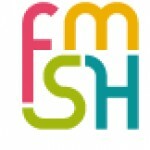 Its mission is research and research training in the social sciences, including the relationship these latter maintain with the natural and life sciences. 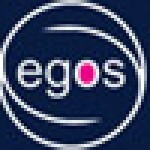 EGOS is a scholarly association which aims to further the theoretical and/or empirical advancement of knowledge about organizations, organizing and the contexts in which organizations operate. It has an associated journal – Organization Studies – and holds an annual conference, the EGOS Colloquium, in July. 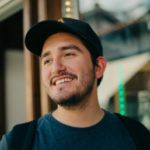 Global Philanthropy Alliance develops young social entrepreneurs by funding youth-led or youth-engaged organizations that unleash the power of youth to advance the economic and social health of their families and communities. GPA aims to make sure that all youth around the world have support to make positive contributions to family and community wellbeing. 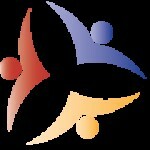 It also aims to support all youth organizations globally to unleash the power of youth to achieve their positive goals. 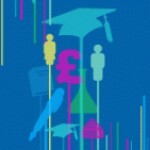 The Guardian Higher Education Network brings together the latest insight, comment, advice and best practice for professionals working in and with higher education. 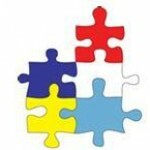 The Institute was organized in 2005 exclusively for charitable, scientific, and educational purposes to enhance the well-being of people with disabilities, their parents, and the professionals who are devoted to their interests. As a nonprofit publisher, the Institute collaborates with professional associations to publish society journals and monographs. 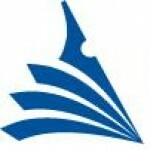 The associations for which the Institute publishes scholarly, peer-review journals include the American Rehabilitation Counseling Association, the Association for Positive Behavioral Support, the Council for Learning Disabilities, and five divisions of the Council for Exceptional Children (Council for Educational Diagnostic Services, Division for Career Development and Transition, Division for Communication Disorders and Deafness, Division for Developmental Disabilities, and the Division for Research). 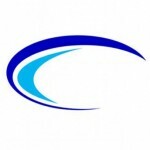 The Institute for Small Business and Entrepreneurship (ISBE) is the UK’s largest and most well established network for individuals and organisations involved in all business and entrepreneurship research, enterprise support and advice, entrepreneurship education, and formulation, delivery and evaluation of policy in this area. 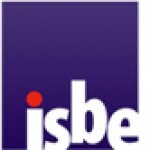 With over 500 members, a network of close to 4,000 and a strong and relevant board, ISBE is at the forefront of developments in this sector. 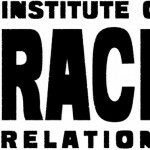 The Institute of Race Relations (IRR) was established as an independent educational charity in 1958 to carry out research, publish and collect resources on race relations throughout the world. In 1972, the IRR’s membership backed the staff in a radical transformation of the organisation from a policy-oriented, establishment, academic institution into an anti-racist ‘thinktank’. The IRR began to concentrate on responding to the needs of Black people and making direct analyses of institutionalised racism in Britain and the rest of Europe. (For more information on the IRR’s first fifty years, watch the slide show on IRR’s history.) Today, the IRR is at the cutting edge of the research and analysis that inform the struggle for racial justice in Britain, Europe and internationally. It seeks to reflect the experiences of those who suffer racial oppression and draws its perspectives from the most vulnerable in society. 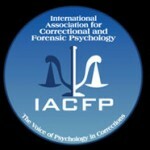 The International Association for Correctional and Forensic Psychology (IACFP) is an organization of behavioral scientists and practitioners who are concerned with the delivery of high-quality mental health services to criminal offenders, and with promoting and disseminating research on the etiology, assessment and treatment of criminal behavior. 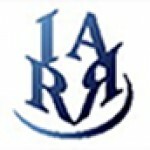 The International Association for Relationship Research (IARR) is an interdisciplinary organizations that strives to (a) promote advances in the scientific study of personal and social relationships, and (b) encourage collaboration among students, new scholars and experienced scholars. IARR resulted from the integration of two prior organizations (the International Society for the Study of Personal Relationships, the International Network on Personal Relationships) and has worked to maintain the high standards set by each organization. The ICCA is a membership organization dedicated to promoting community-based corrections for adults and juveniles to enhance public safety. 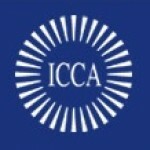 The International Community Corrections Association, as a private, non-profit, membership organization, acts as the representative voice for residential and other community corrections programs. As such, it expects of its members compassion, belief in the dignity and worth of human beings, respect for individual difference and a commitment to quality care for its clients. It requires of its members the professional background, research and expertise necessary to ensure performance of effective quality services delivered with integrity and competence. ICCA affirms that its primary goal is the successful reintegration of the client into the community. 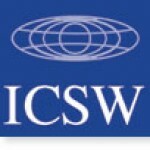 The International Council on Social Welfare (ICSW) was founded in Paris in 1928. It is a non-governmental organisation which represents national and local organisations in more than 70 countries throughout the world. 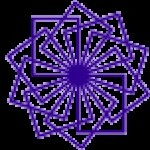 Membership also includes major international organisations. ISME is a worldwide organisation for music educators that seeks to celebrate the diverse ways that people engage with, and develop in and through, music. 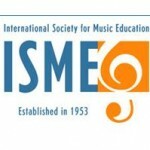 Founded in 1953, ISME represents an international, interdisciplinary, intercultural network of professionals who strive to understand and promote music learning across the lifespan. We share a commitment to culture, education, conservation and the durable development of our cultural heritage, and to evidence-based policy and practice. 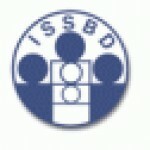 The ISSBD aims to promote scientific research of human development throughout the life span. It is a truly international organization with more than 1,100 members from 60 countries. The ISSBD welcomes researchers from any scientific disciplines interested in human development. 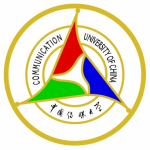 The Society is a membership organization open to individuals who have completed their academic training, and are involved in research focusing on human development. 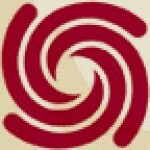 The Literacy Research Association is a community of scholars dedicated to promoting research that enriches the knowledge, understanding, and development of lifespan literacies in a multicultural and multilingual world. LRA is committed to ethical research that is rigorous, methodologically diverse, and socially responsible. LRA is dedicated to disseminating such research broadly so as to promote generative theories, informed practices and sound policies. Central to its mission, LRA mentors and supports future generations of literacy scholars. 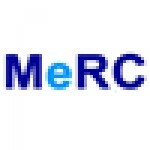 The University of Manchester has re-vitalized its e-Social Science research programme with the launch of the MeRC. 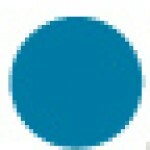 The Centre is pursuing two related strands of work. The applications strand seeks to develop an enabling infrastructure – comprising advance information and communication technologies – that will support social scientists in their pursuit of new solutions to their substantive research problems. The social shaping strand adopts social studies of science and technology approach to understand hor e-science, including e-social science, is being developed, how it is being used and what its implications are for scientific practices and research outcomes. MeRC builds on Manchester’s five years of successful operation as the coordination Hub of the National Centre for e-Social Science (NCeSS), responsible for the strategic management of the Centre’s seven research projects at universities across the UK. The hub is widely recognized to have played the key part in establishing NCeSS internationally as the world – leading centre of e-social science, and its success has influences analogous developments in other countries. From 1 October 2009, the key research work of the hub is being carried forward by MeRC. 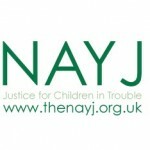 The National Association for Youth Justice (NAYJ) is the only membership organisation which exclusively campaigns for the rights of and justice for children and young people in trouble with the law. 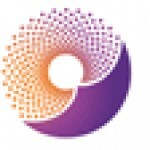 NAYJ was formed in 1995 following the amalgamation of two existing organisations, the Association for Youth Justice and the National Intermediate Treatment Federation and in 2010 became a registered charity. 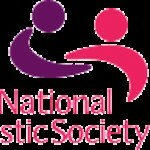 The National Autistic Society is the UK’s leading charity for autism. We are here for over half a million people affected by autism in the UK, providing information, support and pioneering services. We continue to campaign for a world where autism is understood and where everyone with autism gets to live the life they choose. 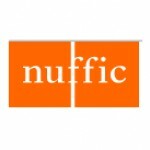 Nuffic is the Netherlands organization for international cooperation in higher education. As an independent, non-profit organization based in The Hague, the Netherlands, Nuffic supports internationalization in higher education, research and professional education in the Netherlands and abroad, and helps improve access to higher education worldwide. 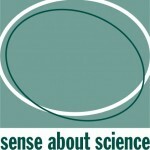 Sense About Science is a registered charity founded in 2002, to equip people to make sense of science and evidence. 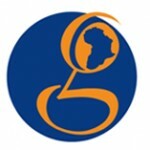 We help the public and policy makers in their use of scientific evidence. We tackle misconceptions and respond to public questions on scientific and medical issues. 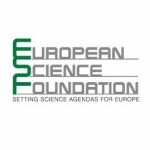 With over 5,000 scientists, from Nobel prize winners to postdocs, we work in partnership with scientific bodies, research publishers, policy makers, the public and the media, to change public discussions about science and evidence. Through award-winning public campaigns, we share the tools of scientific thinking and scrutiny. Our activities and publications are used and shaped by community groups, policy makers, civic bodies, patient organisations, information services, writers, publishers, educators and health services. 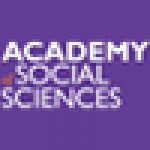 The Social Policy Association promotes the study of social policy and advances the role of social policy research within policy making, practice and wider public debates. 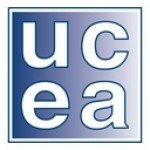 The majority of the Association’s members are teachers and researchers in social policy and applied social science within UK higher education, complemented by a significant and growing number of members from other European, Asian and Australasian countries. 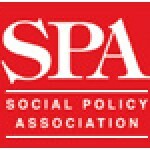 Individual members receive the Journal of Social Policy and Social Policy & Society free of charge. The Social Science Research Council (SSRC) is an independent, international, nonproﬁt organization founded in 1923. It fosters innovative research, nurtures new generations of social scientists, deepens how inquiry is practiced within and across disciplines, and mobilizes necessary knowledge on important public issues. The Council collaborates with practitioners, policymakers, and academic researchers in the social sciences, related professions, and with colleagues in the humanities and natural sciences. We build interdisciplinary and international networks, work with partners around the world to link research to practice and policy, strengthen individual and institutional capacities for learning, and enhance public access to social knowledge. 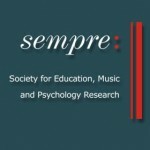 The Society for Education, Music and Psychology Research (Sempre) was founded in 1972, growing out of the Reading Conferences on Research in Music Education that were started in 1966 by Arnold Bentley. 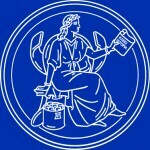 Originally known as the 'Society for Research in Psychology of Music and Music Education' ('SRPMME'), Sempre remains to this day the only society which embraces research in both music education and music psychology, providing an international forum to encourage the exchange of ideas and to disseminate research findings. The Society is particularly keen to encourage the participation of those at the start of their research career and to maintain a broad membership that reflects the considerable range of interests that are represented within music education and the psychology of music. Membership includes free copies of the journal, reduced fees for attendance at conferences, and entitlement to apply for a range of financial awards that are intended to foster new research and assist the work of new researchers. 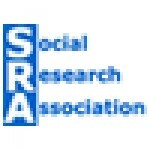 The SRA plays a unique role as an organization open to social research practitioners and trainees from all sectors, as well as others with an interest in social research. The SRA provide a forum for people working in a diverse range of settings and in different subject specialties, to form wider contacts, exchange views and information, and pursue issues of common concern. 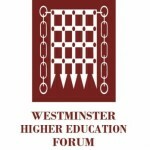 The Westminster Higher Education Forum aims to provide the premier environment for policymakers in Parliament, Whitehall and government agencies to engage with key stakeholders in timely discussion on higher education policy. These include university and college leaders; academics and other higher education professionals; representatives from students' unions; businesses and their advisors; interest groups and the voluntary sector; along with commentators and members of the reporting press. In planning its programme of events, the Forum consults parliamentarians, senior departmental officials, regulators, industry representatives and major interest groups. The Westminster Higher Education Forum is completely impartial and has no policy agenda of its own. 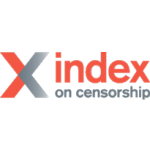 Whilst we are grateful for the support and advice on themes that we receive from sponsors, all editorial decisions remain with the Forum in order to maintain impartiality. 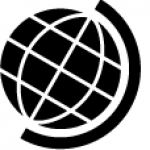 The World Policy Institute is a non-partisan center for global thought leadership focused on emerging challenges, thinkers, and solutions. World Policy fellows, events, policy development, media outreach, and flagship World Policy Journal provide a forum for solution-directed policy analysis and debate in support of a sustainable market economy, effective governance, and broadened security strategies.